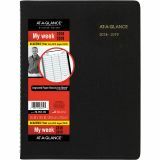 Academic weekly appointment book covers 13 months (July – August), and is perfect for teachers, administrators, parents and other professionals who are used to planning along the academic time frame. One week spans a two page spread with one column per day. Julian dates. Quarter-hourly appointment times to plan your day in 15 minute intervals. 7:00 am to 8:45 pm, Monday - Friday. Quarter-hourly times run 7:00 a.m. - 5:30 p.m. on Saturdays to keep your evening free. Sundays are condensed and untimed. 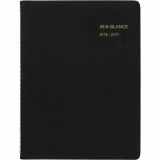 AT-A-GLANCE Weekly Appointment Book, Academic, 8 1/4 x 10 7/8, Black - Academic/fiscal weekly appointment book offers a two-page-per-week spread. Ranges 14 months from July to August. Ideal for detailed appointments. 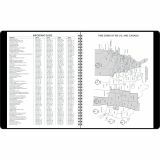 Each spread includes quarter-hourly appointment times from 7 AM to 8:45 PM Monday through Friday and 7 AM to 5:30 PM on Saturdays as well as telephone/address pages, perforated corners for easy reference, Julian dates and past, current, and two future months reference. 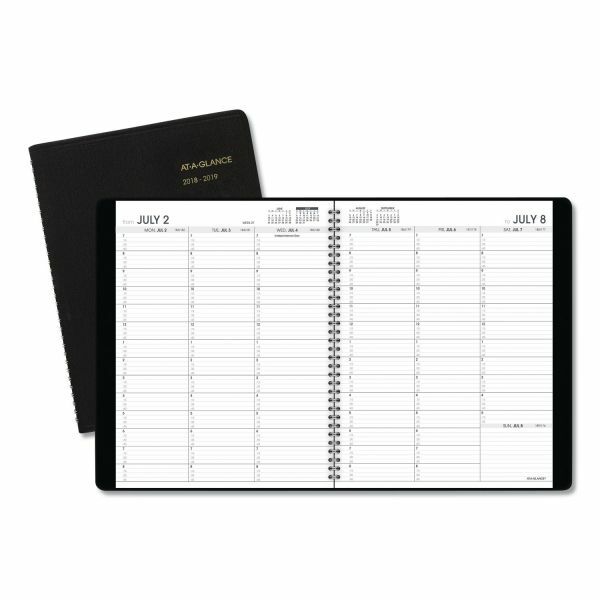 Wirebound appointment book offers simulated leather cover. Pages are made with at least 30 percent post-consumer material. Nonrefillable. 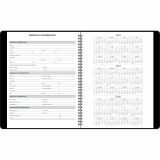 Telephone/address pages included to easily reference important contact information. Printed on quality paper containing 30% post-consumer waste recycled material. 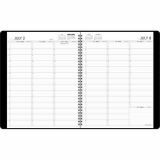 Page size 8 1/4" x 10 7/8" and overall size 8 7/8" x 11 3/8" x 9/16". 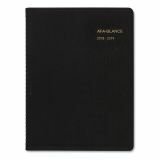 Wirebound with a black, simulated leather cover.